Simple procedures that gives you control of your Facebook News feed. Last time, Facebook News Feed was in news when the feature of Story Bumping was introduced to ensure that Facebook users do not miss any important posts of their interest. Now News Feed is back in news because thanks to some new changes from Facebook, your News Feed going out of your control. Facebook has updated its News Feed algorithm in an attempt to flag and display more “high quality” content from pages that users engage with. What appears in your News Feed depends on the engagement that you have on the pages you have LIKED on Facebook. 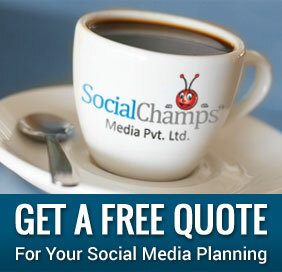 The engagement is in the form of your LIKES, comments and shares on that page. Nowadays, you see promoted posts in your News Feed. Suppose you LIKE a post on the fan-page of your favorite superstar. After you LIKE it, Facebook recommends some other fan-pages of that superstar to you and some other fan-pages of stars like him to you. This is a sign that your news feed is not entirely in your control. Is there any way to control news feed? 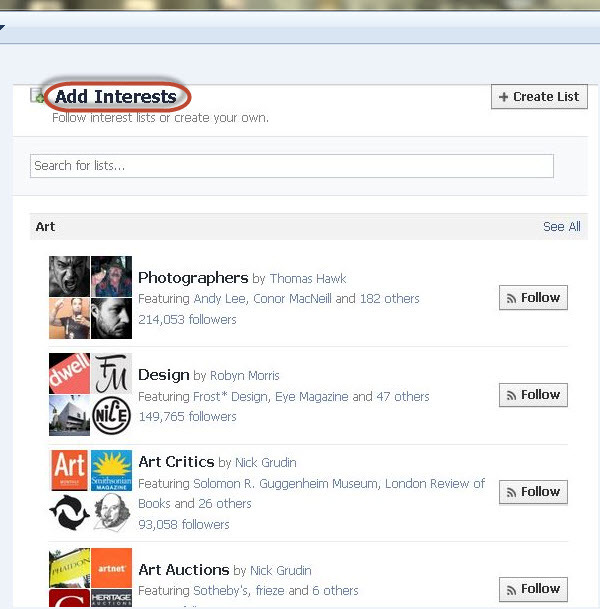 You can ensure relevant and posts from your favorite pages by using a feature called Interest List. Facebook had introduced this new tool back in March of this year. Interest List has been designed to organize your news feed into a “personalized newspaper,” where “news” will be what you wish. Hence, you can take back FULL control of exactly what you see in your News Feed by creating your own lists with your favorite people (friends and people to whom you subscribe) as well as your favorite pages. Once you create/or subscribe to your favorite Interest Lists, you can add them to your Favorites at the top left side of your home page. Once you do that, these lists will become your own personal bookmarks, visible on both desktop Facebook as well as mobile Facebook, through which you can now browse the EXACT content you wish. Not only this, with this feature, you can also subscribe to pages without actually hitting the like button. How to subscribe to Interest Lists? STEP 1 – On your home page, look way down on the left hand column. You may need to click the ‘More’ button. STEP 4 – On the list of lists, you can hover over any list title and choose to subscribe from the hovercard or you can click on the list you wish to subscribe. Is it possible to create my own Interest Lists? Of course! In order to create your own Interest list, you need to follow the same procedure. However after Step 2, you need to click on the “+ Create List” button at the top of the Interests page. The procedure becomes little bit different here from Step 3. Lists can have any combination of Friends, Subscriptions and Pages! At first, Facebook displays a list of all the Pages that you have already liked, all your Subscriptions (personal profiles to which you have subscribed) and Friends. STEP 4 – Select the choices you wish and click Next. Similar to Twitter Lists, you can choose to make the list visible to Public, your Friends, or completely private by choosing the option, Only Me. Add new pages and people to build out the list. Here you need to go back to your list of Lists (bookmarks page). You will see the little pencil icon next to each list. Click the icon and select “Add to Favorites”. Next, look at the list of favorites at the top left of your home page. Hover over any item and then click the little pencil icon. Now you can drag and drop the order of anything you have in your Favorites. 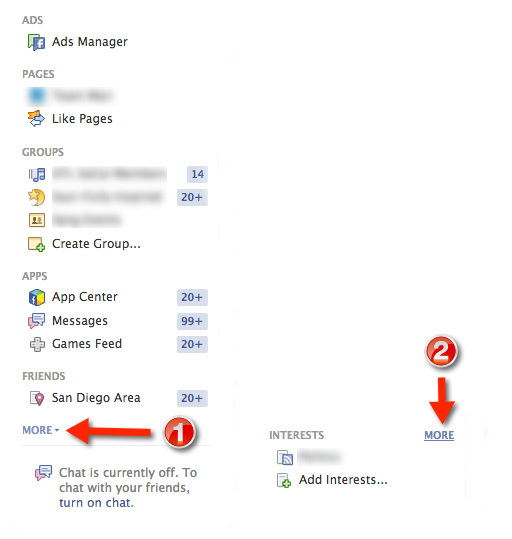 You can have Interest Lists, Friend Lists, Groups, Apps, and Pages as Favorites by going through this same process. Your Favorites are visible on mobile, too. In the following picture, you see that “My Interests” is in the middle of other things. In earlier pictures, it was at the bottom. 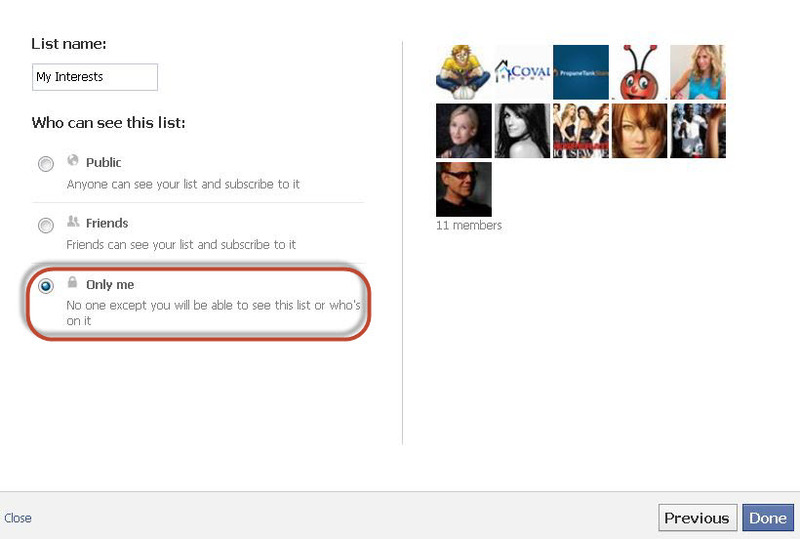 In order to add a person in your list, you must have his/her subscribe button enabled. So after seeing that, how easy it is to create a list and ensure that you will see only those things in your news feed which you are really interested in. So how does it feel to regain the control of your Facebook News Feed? Post your comments and tell us.